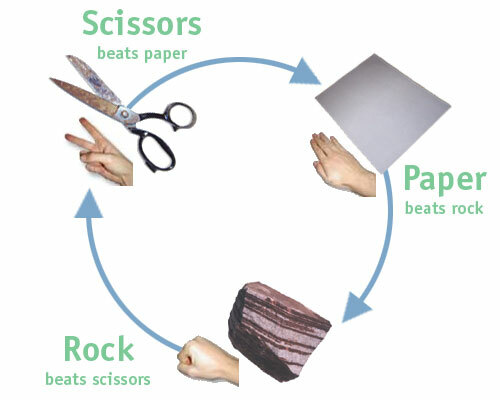 The origins of the classic hand game “Rock, Paper, Scissors” are unknown. But what is known is its popularity is undisputed and universal. There are even RPS contests and leagues around the world. In fact, the World RPS Society has cash prizes and a world champion every year. Online you can find all kinds of websites, t-shirts, and tips on improving your game. And, yes, there is a documentary on the subject called Rock Paper Scissors; a geek tragedy. But we’re not really pitting them against each other, just showing three examples of writers who use one as their starting point. Three different writers with three different starting points, but each with successful results. The important thing isn’t to argue or worry over your starting point, but pick which works best for you and start (and, yes, there are other starting points). But just as important, finish what you start. And if you really want to have a hand up on most screenplays write one with a solid story, solid characters, and a solid theme.